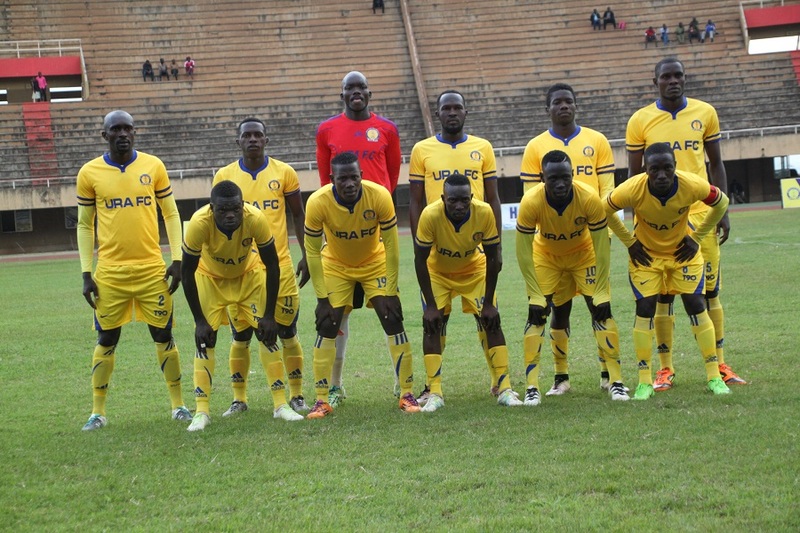 NAMBOOLE – URA FC will be hoping to go third on the StarTimes Uganda Premier League when they play host to Bul FC on Friday afternoon. The Tax Collectors have been in scintillating form lately, winning all their last three League games. Before the international break, they defeated Kirinya JSS, KCCA and Paidha Black Angels, form that saw them move to within three points of third placed Onduparaka FC. Boosting the best defensive record in the division, having conceded only 9 goals all season, URA FC will be clear favourites to win the game but as per their head coach, Sam Simbwa, they will not take Bul for granted. “We shall not undermine Bul just because they are below us in the standings, said Simbwa ahead of the game. “They have been a good side all season, one that is capable of causing havoc both home and away. “However, e want to win the game and contest for the top spots in the league. Hopefully we can even be title contenders. “We shall give them the respect it deserves, but we shall not give them too much respect though it because we want to win. URA will be boosted by the return from injury of influential midfielder Siraje Sentamu who suffured a nasty head injury almost a month ago. Also returning is the pair of Allan Munaaba and Huudu Mulyiki. However, the Tax Collectors will miss the services of Nyakoojo Benjamin, Nyanzi Abudallah and Allan Mugalu who are all still injured. For Bul, they went into the short break on the back of a 1-0 away loss to Express in the Uganda Cup. However, that loss was the first in five competitive fixtures including two out of three games in the League. The Jinja based side start the day in 5th, only three points behind URA and can leapfrog their opponents with a win coupled by a six goal score line. This will be the sixteenth (16) meeting between URA and Bul in the top flight. In the first 15, URA have managed 7 victories while Bul only two. The other six have ended in draws. The reverse fixture last season saw URA defeat Bul 4-0 at the same venue. The only meeting between the two sides this season ended in a goalless stalemate. URA go into the game having lost only two games all season, winning 9 and drawing the other 11. At home, the Tax Collectors have won only five games all season (D4 L2). For Bul, they go into the game having won four of their last 9 league games (D4 L1). However, away from home, they have won only one of their last 7 games (D4 L2).